You love your beloved pets and cannot imagine life without them. However, there is one thing about them that you sure wish you could change - annoying pet odors. Pets sometimes have accidents on your nice carpeting, rugs and furniture. These accidents can be visually cleaned up, but often an unpleasant smell lingers. Smells are caused by urine, poop and vomit. Pet urine odors are the most problematic for homes. The problem is that urine goes deep into fabric fibers. It is difficult to penetrate these fabrics to get all the smell out. You definitely have to clean up messy accidents with something. Maybe you turn to commercial cleaners to do the job. These often contain harsh chemicals with strong odors. Therefore, you have two odors to deal with instead of one. And, the original pet odor may not be entirely eliminated. You have simply placed a temporary mask over it. The problem is that often pets will do the same deed again in the exact same spot. Pets can smell the odor too and consider it the place to do their business. This is why it is important to completely get rid of odors. An ozone machine designed for eliminating pet odors is a good way to solve constant pet odor problems. 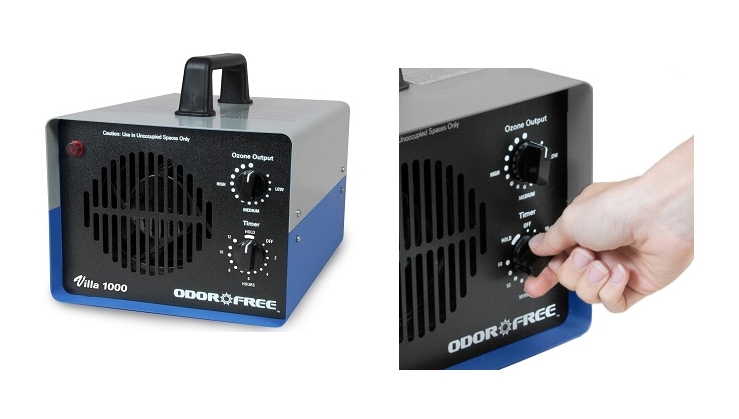 Ozone cleans and freshens air naturally all day.